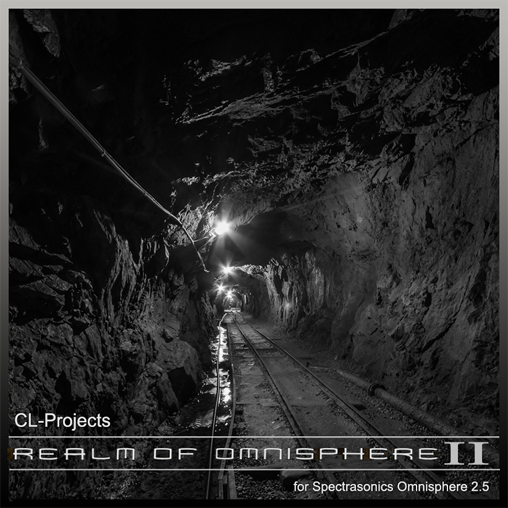 Realm of Omnisphere II is a soundbank for Omnisphere 2.5. This bank is the follow up of the popular Realm of Omnisphere soundbank. Realm of Omnisphere II is a very versatile soundbank which is aimed at ambient, new age, Berlin school, epic, cinematic soundtrack and filmscoring music. Nearly all the patches can be modulated via velocity, modwheel and aftertouch which makes these patches very expressive. This soundbank is also highly inspired by artists like Jean Michel Jarre, Tangerine Dream, Vangelis and others. All the patches were meticulously crafted using the internal sound sources from Omnisphere. The ambient sounds are very atmospherical, great for filmscoring and ambient oriented music. The ambient sounds are making extesive use of Omnisphere's orb and the many lfo and modulation capabilities, which gives these patches an omnious and scary character perfect to be used for sci-fi, thriller and horror movies. The arpeggio sounds will give you instant inspiration. Most of the arpeggio patches use three or four layers in comparison to Omnisphere's 2 two layers With the help of the envelopes, filters and velocity capabilities of Omnisphere, these patches are perfect for craeting rhythmic tracks. The arpeggio patches are making use of controller messages like modwheel and aftertouch extensively. ​The pads are very lush and thanks to the Orb, which is turned on in some of the patches, gives them a lot of evolving motions, which is great for soundtracks, new age and ambient types of music. We can describe these sounds as epic, omnious, mysterious, magical and weird in some cases. These pads will give you instant inspiration. The strings sound section contains acoustic type strings, luscious synth strings, old style strings, plucked strings and guitar sounds. Guitar sounds layered with voice and string sounds sound fantastic and will give you instant creativity. The vintage strings will throw you back into the 70's and 80's eras. The analog synth type strings will enhance any sound when layered with other sounds but they can sound very lush when used on their own. ​The synths sounds are mor​e synth oriented and contain less evolving moods like the ambient and pad sounds. Also epic polysynth sounds, with or without resonance, agressive synth sounds which cut through the mix like a knife through butter, are also present. The granular synthesis system is also used sometimes to give the sounds some 'bite'. These demos demonstrate the Realm of Omnisphere II capabilities. All sounds except when mentioned are sounds from Realm of Omnisphere II.